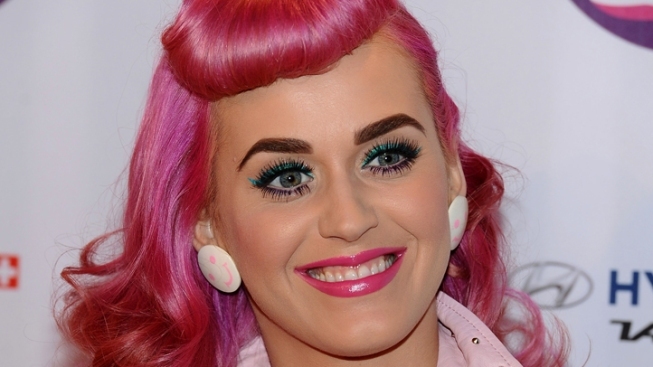 Katy Perry scored MTV's top honors. Katy Perry's run of No. 1 singles has earned her the distinction of becoming MTV's first artist of the year. Perry topped Adele after a spirited discussion among MTV's internal panel of experts, the network said Thursday. Adele's "Rolling in the Deep" was chosen top song of 2011, said Amy Doyle, the network's chief of music programming. MTV also declared Skrillex its electronic dance music artist of the year over David Guetta. Different parts of MTV would make "best of" lists in the past, but the network wanted to establish a franchise that brought all its online and TV arms together and emphasized MTV's music roots, Doyle said. The network, established in 1981, hopes it becomes an annual thing. Seven panelists made the final choice, and their deliberations were featured in MTV programming this week. "Rolling in the Deep" was an obvious selection as top song, Doyle said. Runners-up were Nicki Minaj's "Super Bass" and Rihanna's "We Found Love." "I loved the song the moment I wrote it," Adele said. "The melody and the beat added some conviction to it. I think that's why people connected with it." Perry's achievement of tying Michael Jackson's "Bad" as the only albums to yield five No. 1 singles was particularly impressive, Doyle said. Along with the title cut, "California Gurls," ''E.T.," ''Firework" and "Last Friday Night" (T.G.I.F.) all topped the charts. She's trying to beat the record with the current single "The One That Got Away." "You just really felt her presence in pop culture throughout the year," Doyle said. Skrillex, whose real name is Sonny Moore, describes his music as a combination of "dubstep, electro and glitch." MTV included the category of best electronic dance music artist to pay tribute to the way the style is taking off with its young viewers, she said. MTV also asked its viewers to vote on their choice of the best live performances shown on MTV all year. Their choice was "Hurricane" by Thirty Seconds to Mars.